Apple’s played it a bit cautiously for the last few Apple Watch upgrades — like many companies, it no doubt understands the limitation of the smartwatch form factors. They’re small, so it’s hard to push things too far. The company also doesn’t have much in the way of competition when it comes to market share — the Apple Watch is the rare bright spot in the smartwatch market. On the face of it, the Watch Series 3 maintains that trend. Beyond red accenting on the crown and an ever-so-slightly thick heart rate monitor, the product is virtually indistinguishable from its predecessor. As ever, the big changes are inside. First, there’s the markedly more robust processor that brings new functionality like Siri’s voice baked directly into the device. As anticipated, however, the big news here is optional LTE. 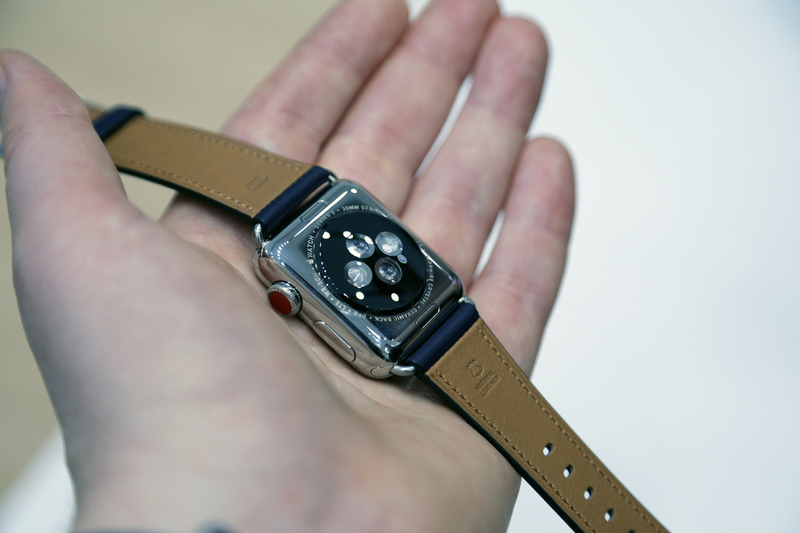 It’s not the first watch to offer the feature certainly, but for those many users for whom “Apple Watch” and “smartwatch” are synonymous, it’s a way to rethink the space. The ability to make calls without a phone on hand is nice — and I’m told people still communicate that way — but its on-the-go Apple Music (coming in about a month) and mobile payment are the real new paradigms here. 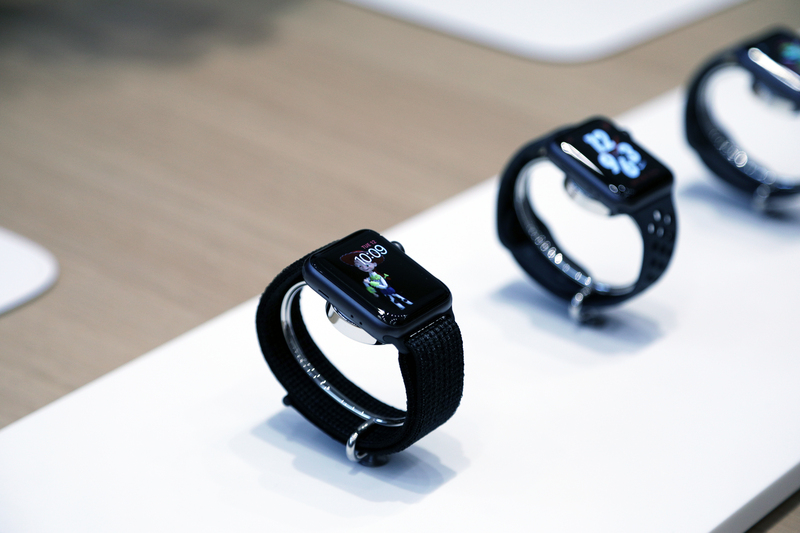 The company has long fancied the Apple Watch a fitness nicety, and that impulse has only grown in recent years. As countless analysts have noted, it continues to be the primary driver for smartwatch purchases, even as plenty of far cheaper fitness bands continue to flood the market. This means finally ending that awkward era of strapping a phone on your arm, or trying to keep it from falling out of your pocket as you run. To me, however, the most compelling feature is one that monitors irregular heartbeats while the wearer is sitting still. I can’t see a future where Apple claims to have a truly medical device, but these sorts of smart everyday additions are a great way to make a consumer device truly work for the wearer in a meaningful way — and the fact that the company has teamed with Stanford to bring it to the world certainly adds legitimacy. Like the iPhone X, the release of two tiers (LTE and not) is a way of helping the product reach an even wider range. Cellular connectivity isn’t for everyone, but it will definitely change a lot of workouts.